Welcome to Ebbing, located in south Lincoln City. 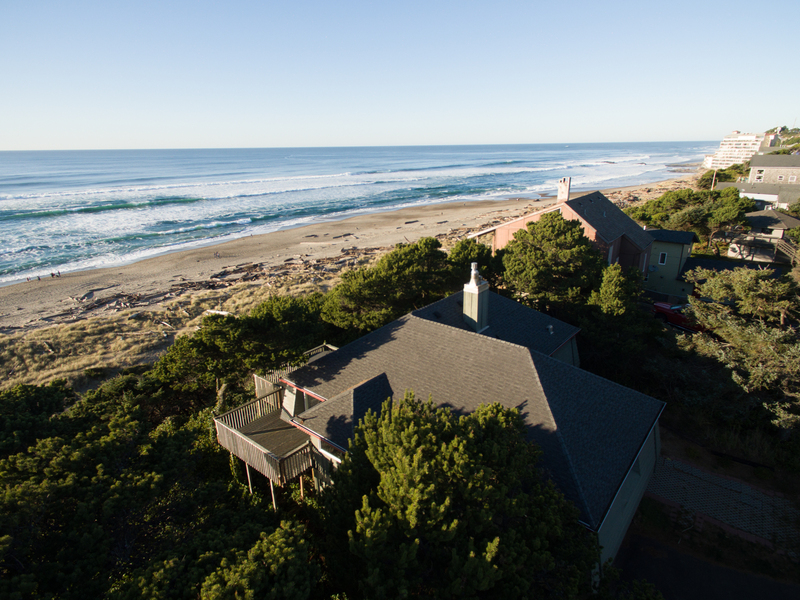 This beautiful oceanfront home offers amazing views of the Pacific from two stories. 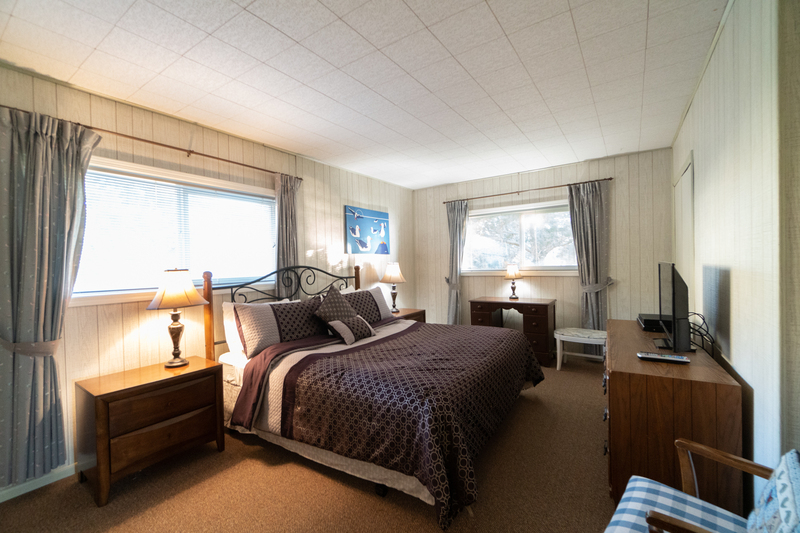 With three bedrooms and three bathrooms, up to eight guests can comfortably enjoy a visit to the Oregon coast while staying at Ebbing! You can even bring your favorite four legged doggy with you! 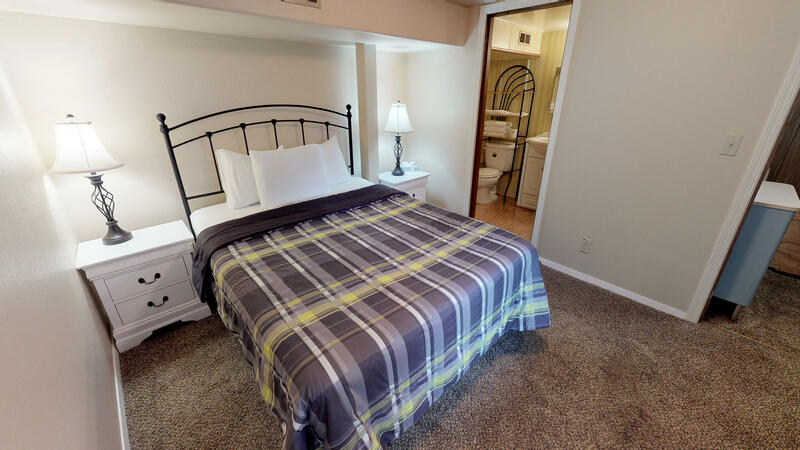 Step inside and explore your new home away from home! 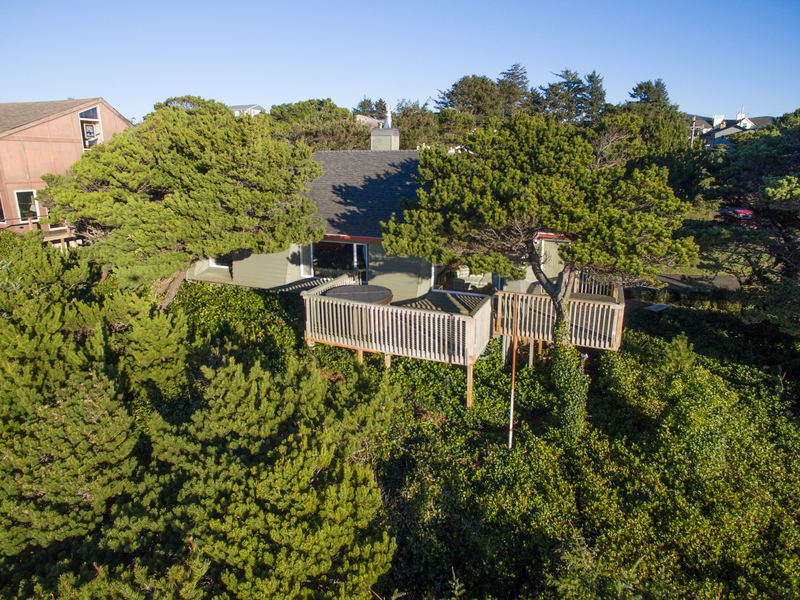 As you enter Ebbing, you'll find yourself on the second story of this beautiful oceanfront home. The deck is perfect for catching some sun while reading a book or sipping on a warm drink. The main entry greets you with lots of natural light streaming in through the front windows. 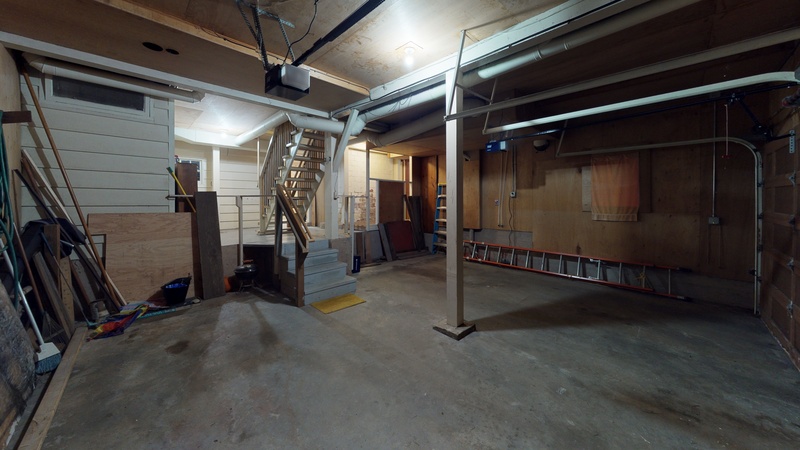 You'll have plenty of seating for everyone in your party. Feel free to just sit and stare out the window during your stay. You can't find views better than this just anywhere! 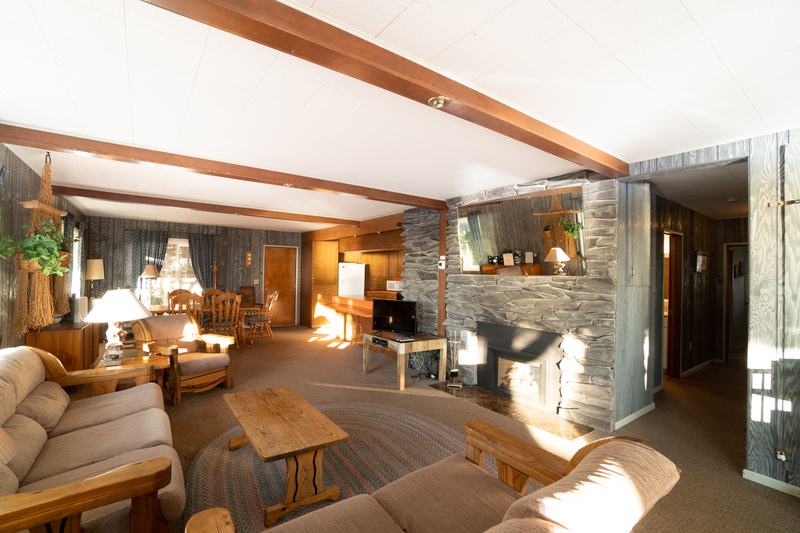 A fireplace sits next to the flat screen TV for use on those cold, winter nights. Enjoy a movie or some TV with your family after a long day exploring the beach and shops. The sleeper sofa is perfect for any children in your party. 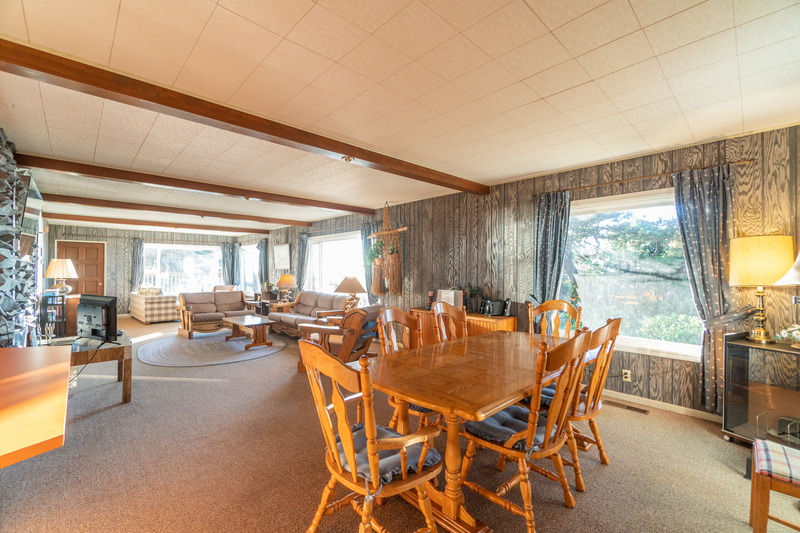 The dining room table sits nearby so guests can eat and interact with those in the living room area. 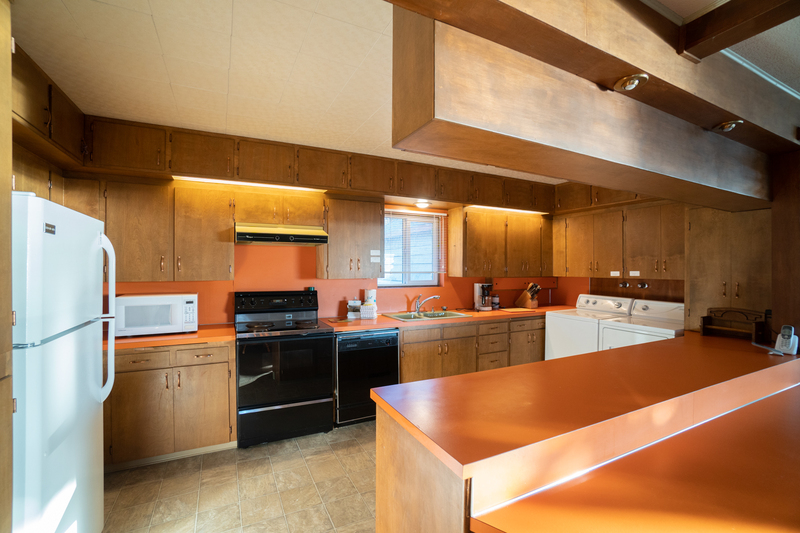 The kitchen offers plenty of space for both your guests and your food, with lots of open counter space and everything you need to whip up a homemade meal during your trip. 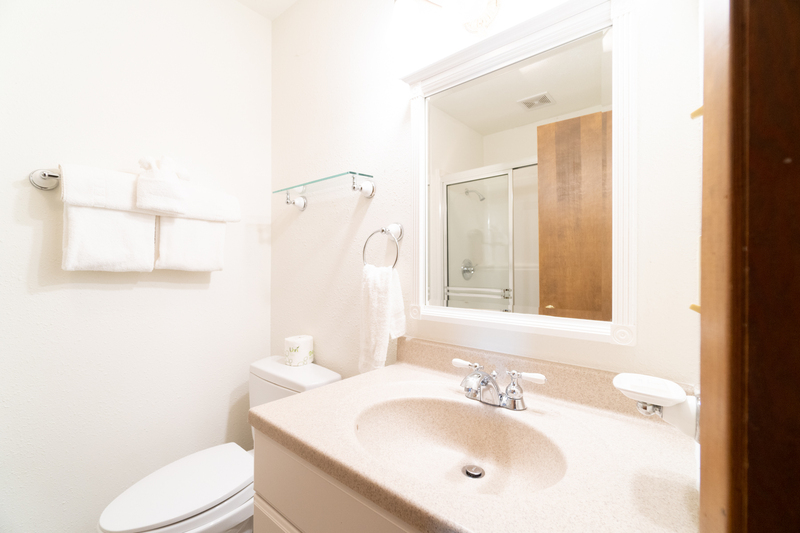 Ebbing also offers guests a washer and dryer, so feel free to pack light on your trip and wash clothes as needed. 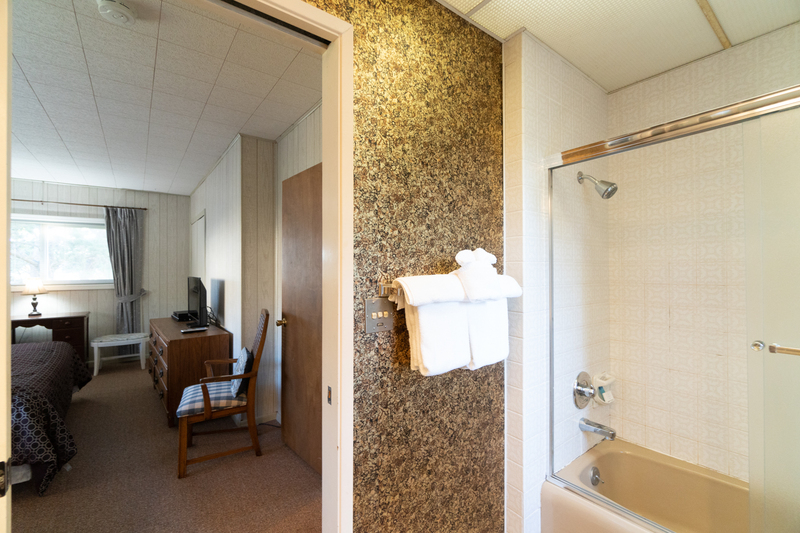 The first bedroom on this floor offers a king size bed with a flat screen TV and personal bathroom, complete with a tub/shower combo. 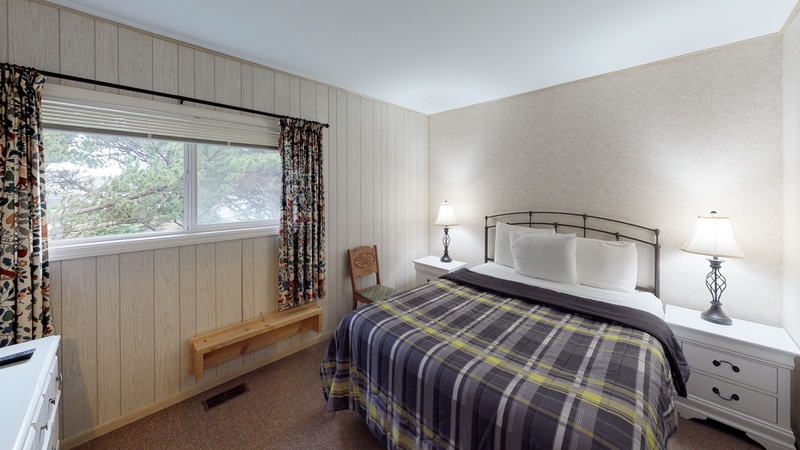 The second bedroom offers guests a queen size bed and a flat screen TV. 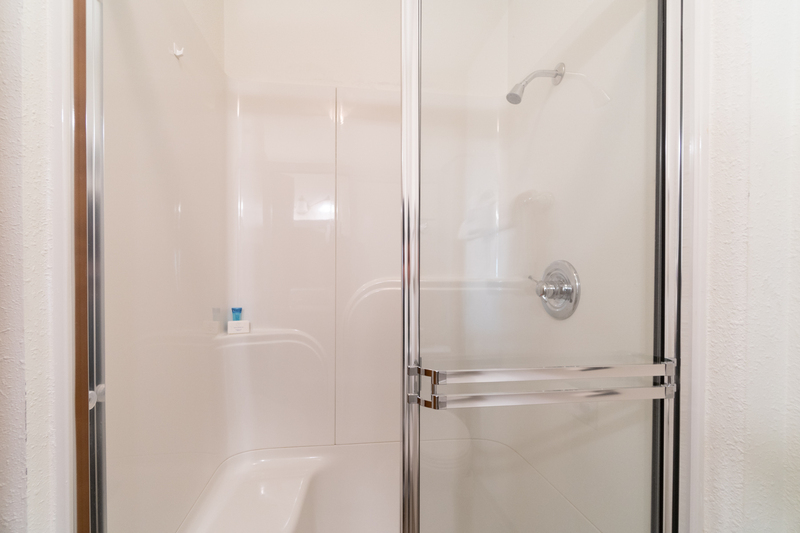 There is also a bathroom on this floor with a walk-in shower. 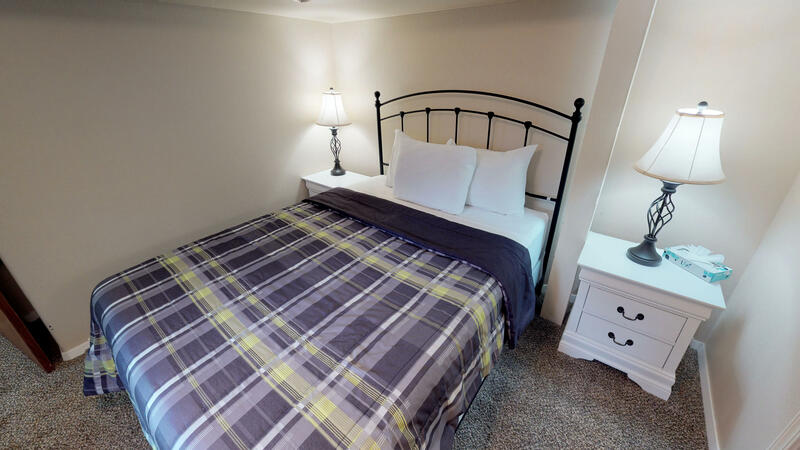 Head downstairs and you'll find the third bedroom, complete with a queen size bed and personal bathroom with a walk-in shower. 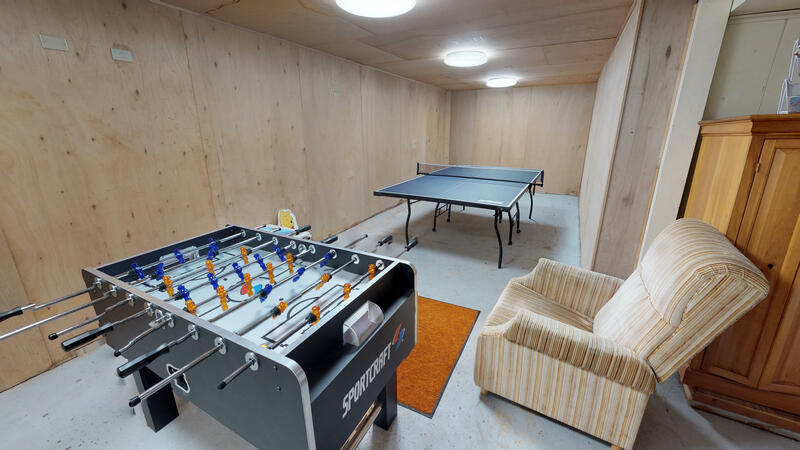 The family game room is also on this floor, complete with a ping pong table and foosball. 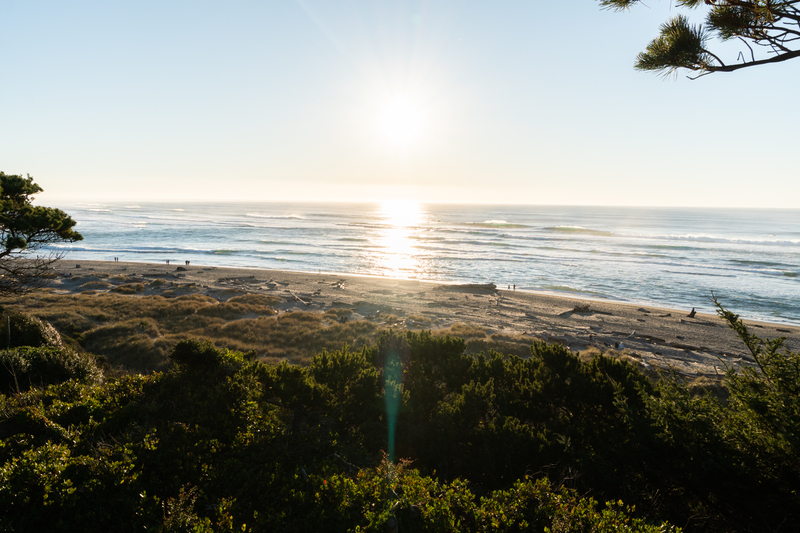 While staying in Lincoln City, be sure to check out the beach and try your hand at finding a glass float! 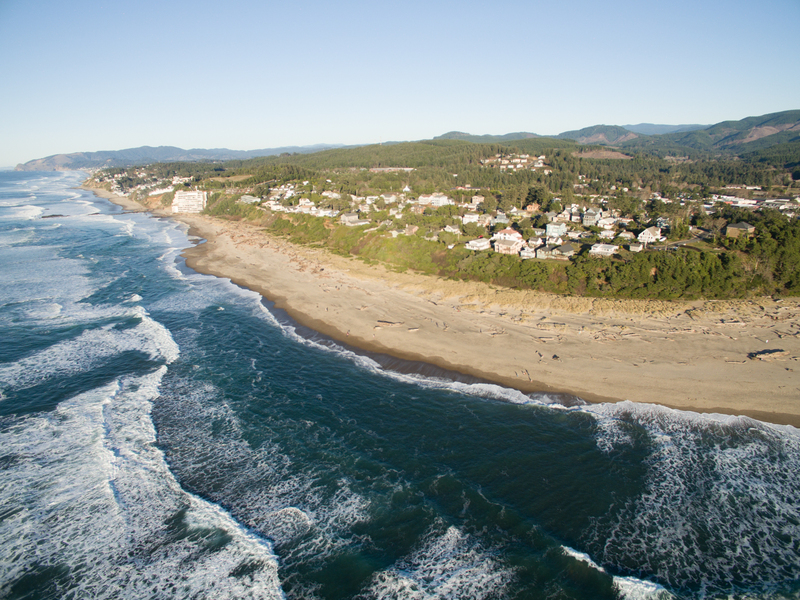 From October to May, Lincoln City hosts the annual Finders Keepers event. Float fairies hide glass floats along the beach for people to find, so be sure to try your luck! 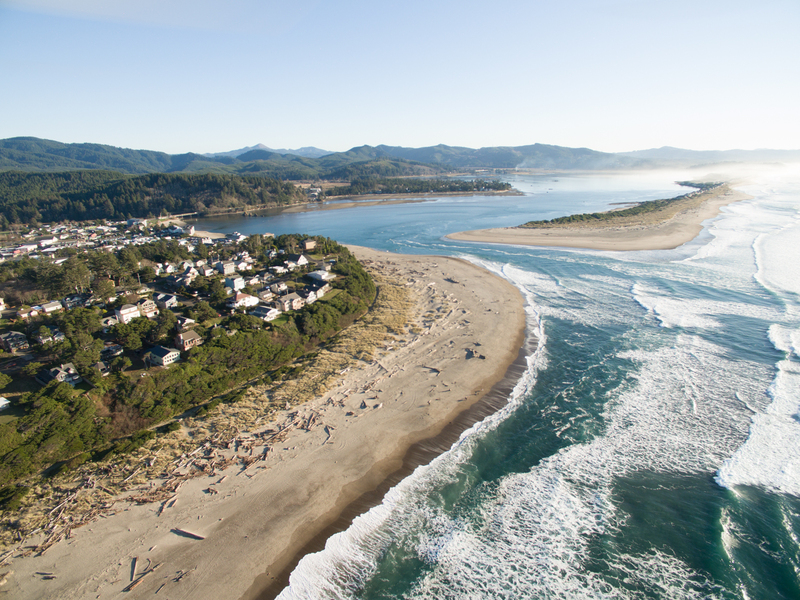 While beach access isn't available from Ebbing, you can take a short walk or drive down south to the Taft district where you can find beach access or check out the Siletz Bay. There are also plenty of restaurants to try, or you can visit any of the grocery stores to stock up on food and supplies during your trip. 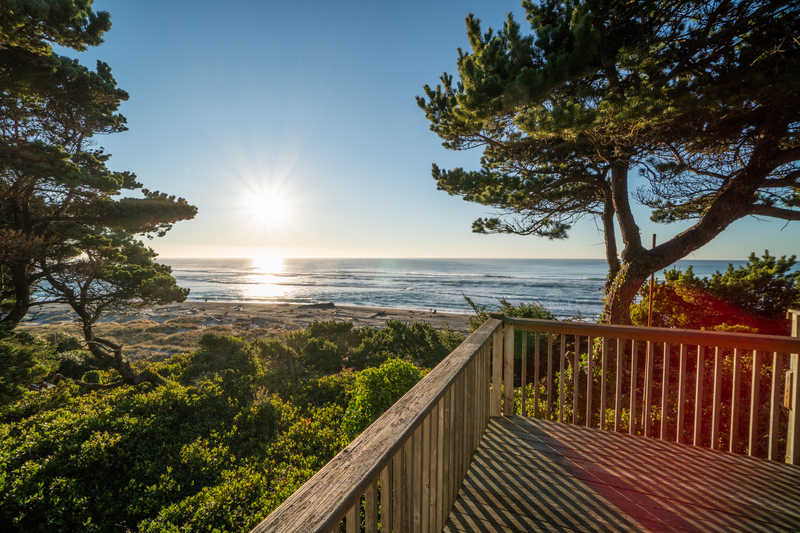 Book your stay to Ebbing today and have a great trip on the Oregon coast with Oregon Beach Vacations! 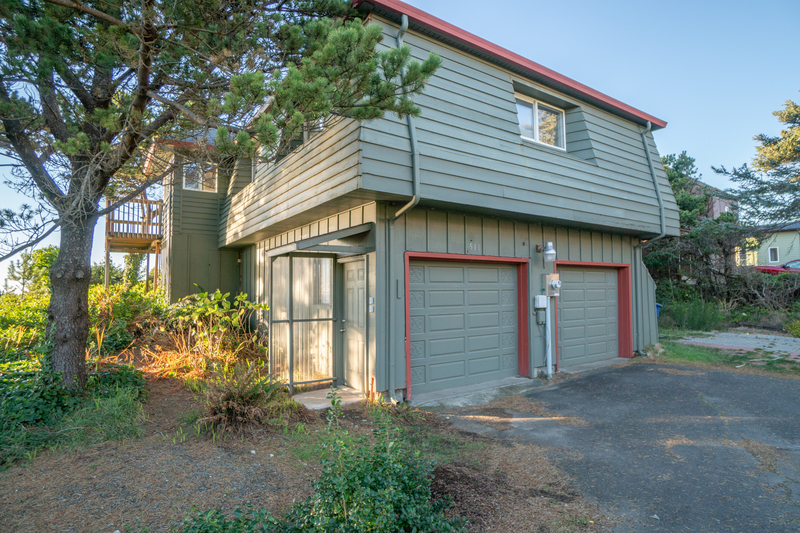 "My wife, our two dogs, and I had a wonderful stay at Ebbing in Lincoln City. It was exactly what we needed. 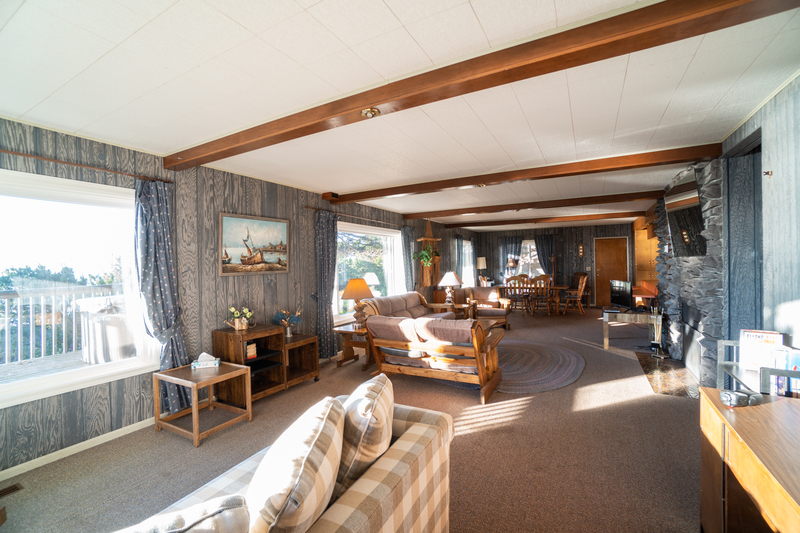 The house had plenty of room for much more than just us and the view is spectacular. We spent a majority of the weekend watching the ocean and each sunset from the large deck. 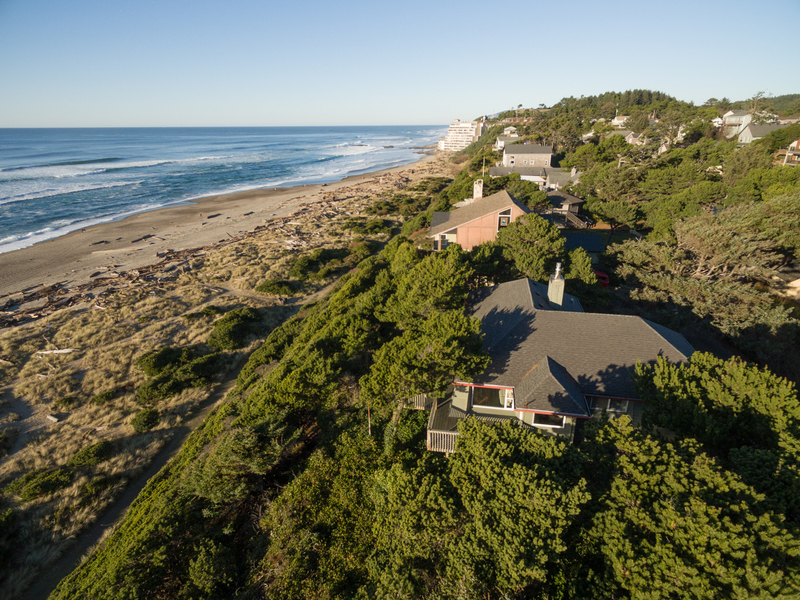 One thing should be noted, the house is located on a cliff high above the beach. The beach access is not a far walk down the street but has many stairs. I would not recommend this location for individuals that want to walk on the beach and have mobility issues. If that isn't a problem or you just want a beautiful view than Ebbing is perfect for you." "Hello Christopher, Thank you for your review. 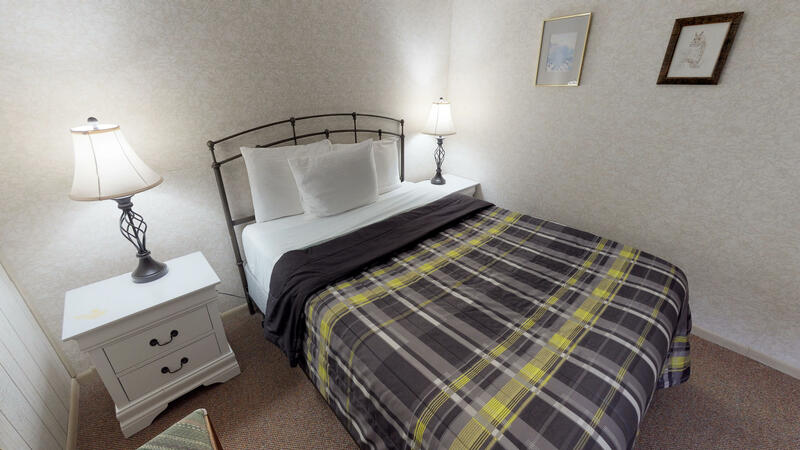 We are glad to see that you had a great stay at Ebbing. 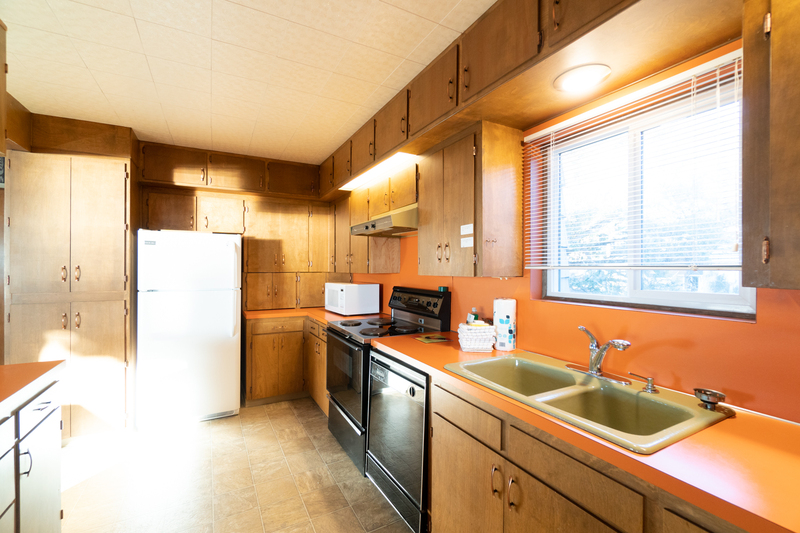 It sounds like this location was perfect for your little family. 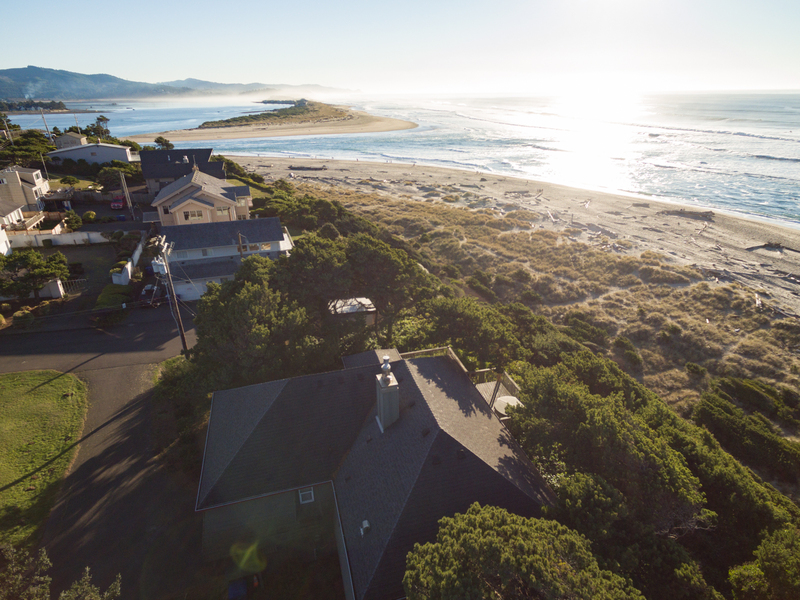 We are happy that you were able to enjoy both the fantastic views and beach access. We hope to have you stay with us again soon." 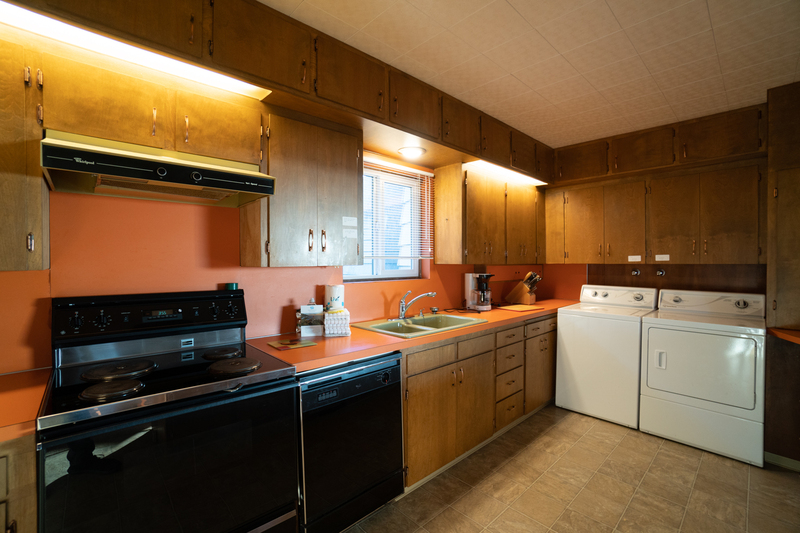 "Acceptable but could have a little newer coffee pot and a blender woulda been nice too.Windows were filthy which was disappointing, had to go outside to really enjoy the view. The view could be vastly better with a little tree trimming! the proximity to local stores and restaurants were nice." "Hello David, Thank you for your review. 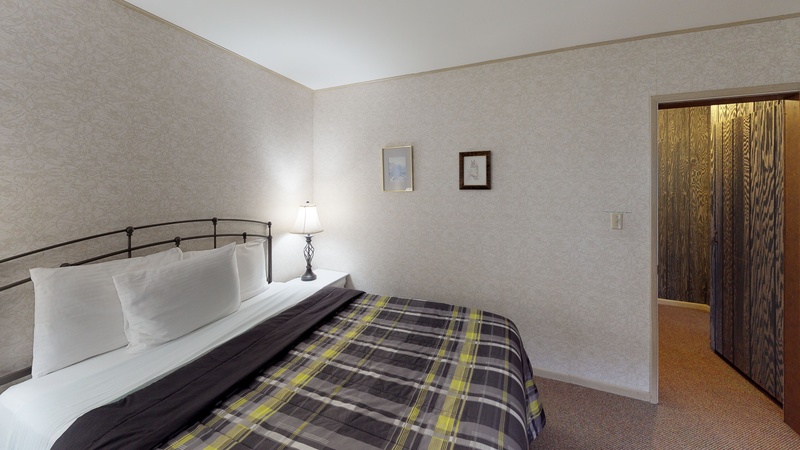 We are glad to hear that you enjoyed your stay at Ebbing. We will look into getting these items for the unit. We are sorry to hear about the windows being dirty. 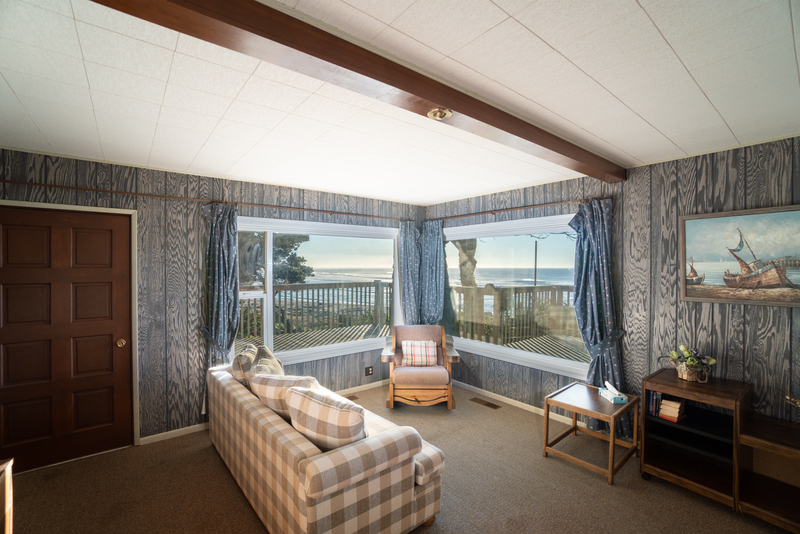 Being an oceanfront rental, spray from the ocean gets on the windows often. We will look into possibly trimming the trees. Thank you for bringing these items to our attention. We hope to have you back again soon."